Anthony Crolla returns to fight in America for only the second time in his career, as he prepares to face lightweight world champion Vasyl Lomachenko this weekend at the Staples Center in Los Angeles. The Manchester-born bruiser claims a win over Lomachenko would be life changing and propel his career to the next level, while Lomachenko’s WBO, WBA and Ring titles mean there’s more at stake for the Ukrainian. Anthony ‘Million Dolla’ Crolla may not get many more title chances in his career, but having held British lightweight titles from 2011 to 2012, as well as the WBA title from 2015 to 2016, he knows what it takes to win one. Since losing back-to-back fights with Jorge Linares in 2017, Crolla has defeated Ricky Burns, Edson Ramirez and Daud Yordan on home soil to earn another title opportunity, and momentum could be key for the Brit in this one. While there’s murmurs from the Lomachenko camp that this fight was forced upon the champ, following an injury to original opponent Richard Commey, don’t expect him to be unprepared for Crolla. Make no mistake, Crolla will face one of his toughest challenges yet, when the bell rings and he takes on the 31-year old. 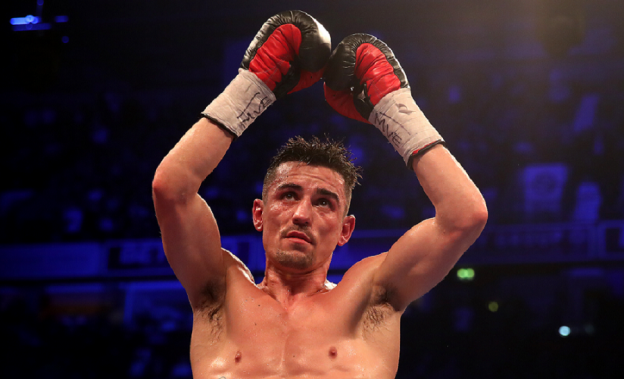 Despite his recent purple patch, Crolla goes in to this one as a the big underdog at 16/1 with Grosvenorsport.com. Vasyl Lomachenko is the best pound-for-pound fighter on the planet, according to many boxing experts, and he’s likely to see Anthony Crolla as a little fish in his big pond. The man dubbed ‘Hi Tech’, among many other nicknames, hasn’t been defeated since March 2014, and has won all of his other 12 fights – all by knockout. While this might suggest the Ukrainian is a big hitter, he tends to enjoy tiring his opponents out before striking venomously, and Crolla will need to be at the fittest he has ever been to hurt Lomachenko. In the space of a year, the lightweight champion has made four fighters either quit or be pulled out by their corners, earning him another moniker of ‘No-Mas-Chenko’ – he doesn’t do messing around. 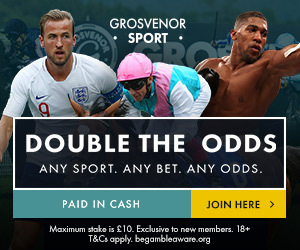 It’s little surprise that he is a huge favourite, and he can be backed at 1/100 with Grosvenorsport.com. While Anthony Crolla has had more fights than Lomachenko throughout his career, despite them being similar in ages, the latter has fought bigger challenges and arguably holds more experience – especially as a champion. He’s a future hall of fame boxer – and Crolla has admitted his opponent deserves that title, along with his other belts. While the Brit has pledged not to get drawn in to Lomachenko’s tactics, it’ll be almost impossible not to. There’s not much value in backing Lomachenko to win, but the Ukrainian to win in rounds one to six at evens looks a good bet. Want to know how to bet on boxing? Look no further than our guide here.